Purple Hat Charity Knit This Sunday! Come spend the afternoon with us on Sunday from 1-5pm and knit a tiny hat for charity. Some of the pretty purple hats already donated to this year’s Click for Babies charity drive. 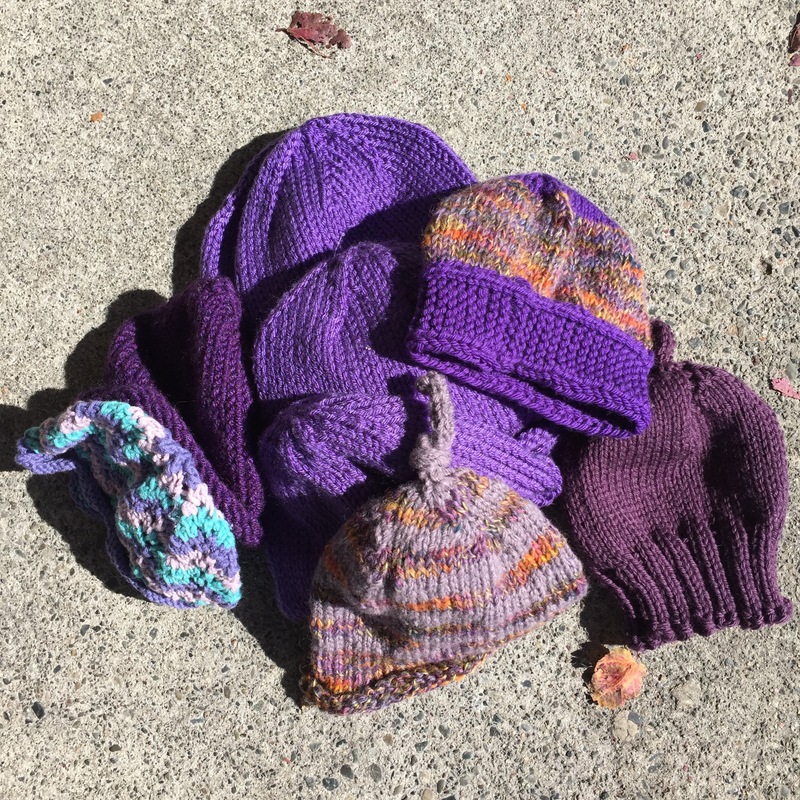 The Click For Babies is a charity knit & crochet drive aims to provide a tiny purple hat to every child born in the province in the month of November. All hats collected by the end of September are donated to prevent Shaken Baby Syndrome BC to be distributed throughout BC to raise awareness of this preventable tragedy. We have donated purple yarn available for the taking for anyone who would like to knit some charity newborn hats; drop off any hats by September 25th, or join us this Sunday for an afternoon of fibre arts. We’ll have some hot chocolate and treats for participants, and anyone who contributes a hat up to the end of day Sept 25th will be eligible to win some yarny prizes. Come knit with us! ← Spincycle Kits Ready For KnitCity!